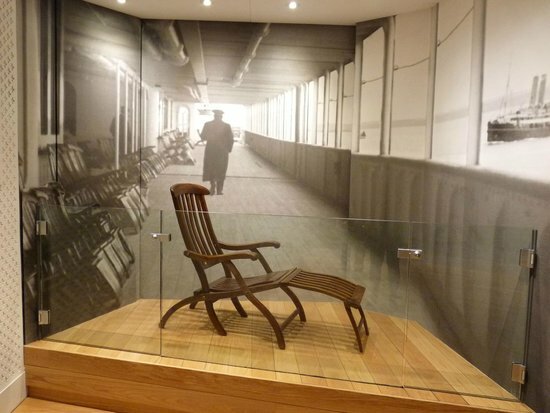 A rare desk chair from Olympic on display at Southampton SeaCity museum has been removed from display due to vandalism reports Daily Echo. The vandalism was caused in part by children climbing over the glass barrier to sit on the chair and ended up smashing the chair instead. And now Southampton faces a £1,600 ($USD2,487)repair bill. And it is not the first time it has happened causing money to be spent restoring the historic chair. For now the chair has been removed from public view and will only return for special events. While we would prefer to keep original artefacts from our collection on permanent display, we recognise that we cannot continue to risk such damage to these items and incur the extra cost of repairs.